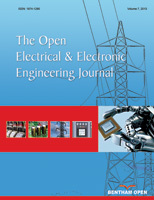 This paper focuses on improving the power amplifier linearity for wireless communications. The use of a single branch of a power amplifier can produce high distortion with low efficiency. In this paper, the Linear Amplification with Nonlinear Components (LINC) technique is used to improve the linearity and efficiency of the power amplifier. The LINC technique is based on converting the envelope modulation signal into two constant envelope phase-modulated baseband signals. After amplification and combining the resulting signals, the required linear output signal is obtained. To validate the proposed approach, LINC technique is used for linearizing an amplifier based on a GaAs MESFET (described by an artificial neural network Model). Good results have been achieved, and an improvement of about 40.80 dBc and 47.50 dBc respectively is obtained for the Δlower C/I and Δupper C/I at 5.25 GHz. Keywords: Carrier Power, Artificial Neural Network (ANN), Two Tones, Intermodulation Distortion IMD3, Carrier to intermodulation distortion power ratio (C/I), Linearization Techniques, LINC. © 2018 Elkhaldi et al.